In the Choor area of Sindh, Pakistan, thousands of impoverished families live as bonded labourers. The Human Rights Commission of Pakistan estimates that there are as many 50,000 bonded labourers in Sindh alone. Fettered with debts before they were even born, many of these families – and sadly their progeny – are resigned to a life of graft and subservience. In 2006, Ummah Welfare Trust joined hands with the donors of the UK to help liberate these bonded labourers in Sindh. Since then thousands of families’ debts have been repaid. Alhamdulillah, Allah’s mercy did not end there. The majority of these freed families were non- Muslims who, upon being freed, chose to accept Islam. 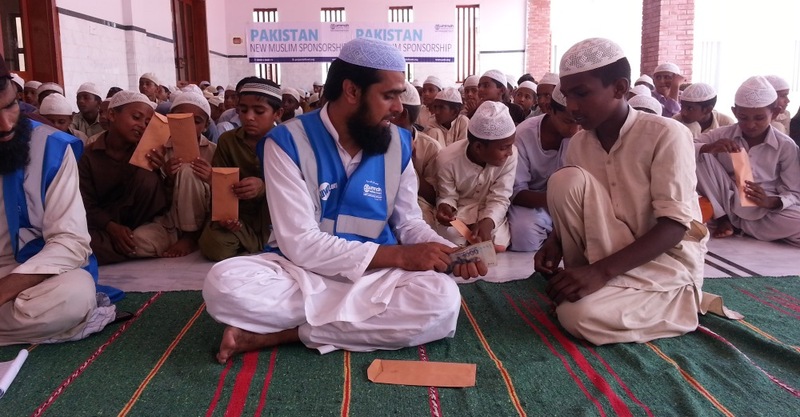 Ummah Welfare Trust has now launched a follow-up initiative. The ‘New Muslim Sponsorship’ project aims to provide the children of these freed families with a full-time education. This education, tailored for both secular and Islamic needs, will cement the children’s new-found imaan and provide them with the knowledge and understanding to live their lives. Ummah Welfare Trust is appealing to donors to help provide for this project. Zakah, Sadaqah and Lillah can be given to support a new Muslim child. On the Day of Judgement, there will be no regret for that donor who helped educate these children inshaAllah.